Actiontrack Showbuild for Young People: Build a Show in a Week! Build a show in a week! 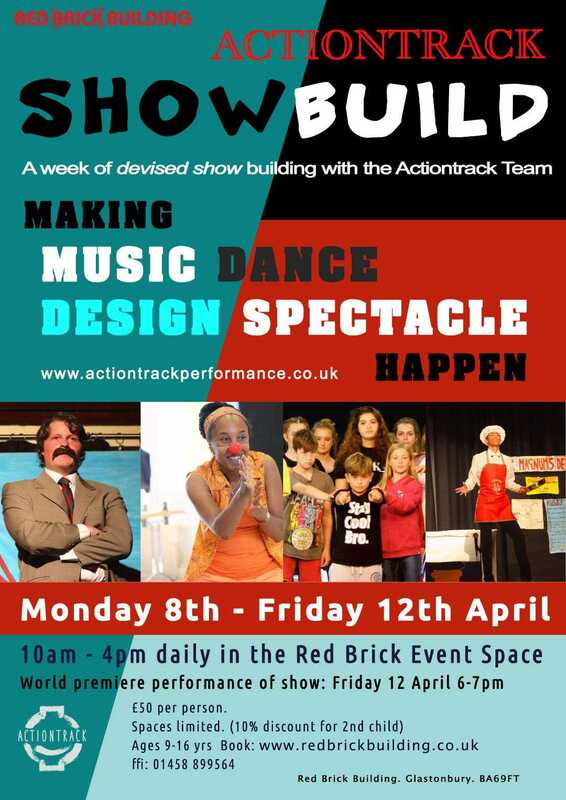 A week of devised show building for young people during the Easter holidays, with the Actiontrack Team. All bookings require a completed registration form for each child. 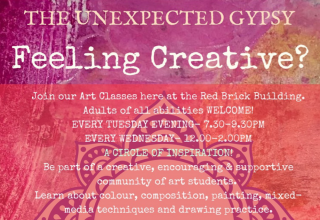 Once you have purchased your space(s), please complete the registration form and either email it to bookings@redbrickbuilding.co.uk or hand it in to the Red Brick Building Reception before Monday 8th April. Your child will not be able to participate without a completed registration form. A chance for young people to come together and make their own show, from scratch, under the guidance of the fantastic Actiontrack Performance Company. The participants’ own ideas and talents will be the starting point for the show. 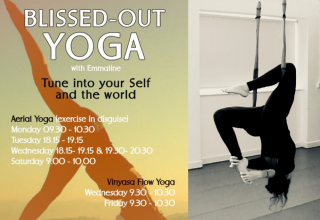 Perfect for any aspiring actor, musician, singer or performer. Please bring lunch, refreshments and snacks and wear comfortable clothes. Actiontrack have developed unique processes that are collaborative at all times. Whatever form the groups and workshops take, the participants create and share responsibility for any work that is undertaken. The artists in the company have a voice too – not simply facilitating the group or bringing a predetermined package. The artists bring structure and methods, but the ideas and product are essentially the participants own. The groups have truly created something special and unique. This ethic continues to underpin all the work that the company delivers at every scale.